Notice is hereby given by the Central Bank of Nigeria on behalf of DMO that the Federal Government of Nigeria Treasury Bills of 91, 182 and 364-day tenors amounting to N45,177,868,000 N30,000,000,000 and N 120,000,000,000, respectively would be issued by Dutch auction on Thursday, August 06, 2015. All Money Market Dealers should submit bids through the CBN S4 WEB INTERFACE between 9.00a.m and 11.00 a.m. on Wednesday, August 05, 2015. Each bid must be in multiple of N1, 000 subject to a minimum of N10, 000. Authorized Money Market Dealers are allowed to submit multiple bids. A bid may be for authorized Money Market Dealers own account, Non – Money Market Dealers or interested members of the public. The result of the auction would be announced by 11.30 a.m. on Wednesday, August 05, 2015. The Bank reserves the right to reject any bid. 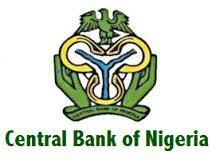 Allotment letters would be issued for successful bids on Thursday, August 06, 2015, while payment for the successful bids should be made to your account with Central Bank of Nigeria not later than 11.00am on Thursday, August 06, 2015. The Bank reserves the right to vary the amount on offer in line with market realities prevailing as at the period of auction of the Nigerian Treasury Bills.